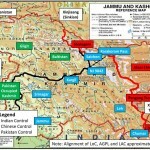 Home > News > Geopolitics > J&K: The complete surrender? 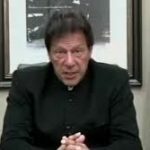 The recent spate of scams has so exhausted the fund of public outrage, that the die-hard votaries of peace with Pakistan (at any cost) have found the time opportune to shamelessly resile from our principled post Mumbai stand and restart the composite dialogue with Pakistan – in all but name. The public in India is so preoccupied with local issues of corruption that this “peace at any cost” lobby has decided to exploit that sense of emotional ennui and exhaustion to push their pet agenda through surreptitiously. Such an earlier attempt at Sharm-el-Sheikh had come too soon after the Mumbai massacre and caused public outrage that forced the government to backtrack then. This perplexing urge to resile from a principled stand militates against our national interests and global image as an emerging global power. The worst part is the callous lack of concern it betrays for the lives of ordinary Indians. 163 innocent Indians were massacred in Mumbai. What steps has Pakistan taken to dismantle the infrastructure of terrorism? What has it done to bring the perpetrators to justice? Why then this overarching compulsion on the part of India to resume dialogue and in fact, grovel before the perpetrators of terror? What really has changed except the Bleeding Hearts Brigade’s perception that now is the opportune time to get away with it? It is disturbing to note this cynical lack of concern for the lives of ordinary Indians that seem to matter so little to this Bleeding Hearts Brigade. Why then this overarching compulsion on the part of India to resume dialogue and in fact, grovel before the perpetrators of terror? The construct is very disturbing. It is Pakistan that has the Jihadi cancer but it is India that is required to undergo the surgical operation of giving up Kashmir simply because the Jihadis want it and to get peace we must tamely surrender the province. Besides, Bruce Reidel’s argument is seriously flawed. The surrender of Kashmir will only whet the Jihadi brigade’s appetite to dismember India. There is the issue of River Waters which is likely to be blown up next and maps of Mughalistan are rife in the Urdu Press in Pakistan. The Pakistani Army gains its prima donna status from the centrality of the disputes with India. Will it tamely relinquish its overarching role and power? The J&K settlement, supposedly arrived at in Musharraf’s tenure ,was derailed by his conclave of Corps Commanders and the ISI. Mumbai blew up in our faces. We can therefore, expect the next terrorist strike anytime now that we are going down the Munich lane again. Remove the Army and you might as well hand over the state on a platter to Pakistan. So the central premise of Bruce Reidel is seriously flawed. However it has ,apparently resulted in backdoor pressure on India to compromise and we seemed to have caved in suddenly and completely .The article by Juan C Zarate, a former American National Security Advisor in the Washington Post reinforces this thesis and calls for” pressure on both parties to pave the way for a constructive dialogue on Kashmir”. The Americans of course are solely interested in safeguarding their own citizenry. Even a single CIA operative’s life is precious. The contrast with the attitude of the India state to the safety of its own citizens could not be more stark. It is the Indian states callous lack of concern for its slain citizenry that is cause for concern. The Indian state is hardly six decades old. It cannot afford to dilute its sovereignty or give in so supinely to the demands of separatism. J&K is a major test case for the core Indian constitutional principle of secularism. If we let the five million Kashmiri Muslims of the valley secede purely on the basis of a religious/communal agenda, we revive the two nation theory. Worse, what right will we then have to the continual loyalty of 150 million loyal India Muslims who voted with their feet at the time of partition to stay in a secular India and not migrate to a theocratic Pakistan? A retreat from our sovereignty in Kashmir could set up dangerous precedents and models for other insurgents in the North East. How can we deny similar dilutions of sovereignty then to the Nagas or Manipuris or Assamese? The backchannel diplomacy has proposed solutions that are dangerous. How can we demilitarize a state that has been attacked five times in the past by the Pakistanis and Chinese militaries? Massive deployments of Pakistani and Chinese troops are still arrayed against the state. It is the presence of the Indian Army that is the check against Jihadi Is infiltration. Remove the Army and you might as well hand over the state on a platter to Pakistan. Is the resumption of the dialogue the thin edge of the wedge of complete capitulation on the issue of J&K?